If you have the space for a garage but don’t want the expense of having one built from brick, our metal garages are excellent value alternatives as they are easy to install and provide you with a long lasting, spacious storage solution for your car, bike or trailer. Metal garages should ideally be installed onto a concrete base and can be constructed on a DIY basis or you can take advantage of our home installation service, giving you piece of mind that the garage will be constructed with a professional finish. We also have a selection of Carports which are less intrusive than a garage. They help to protect your vehicle, keeping it clean and dry whilst not blocking light or the view of your garden. Carports are ideal for providing shelter for cars, motorbikes, trailers or boats or as a cover for your patio so you can enjoy your outdoor space, whatever the weather. 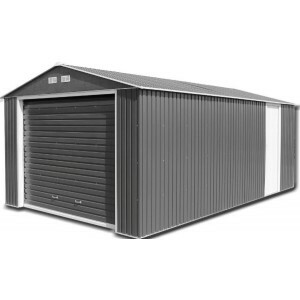 The Melbourne 10ft x 15ft Metal Garage from Storemore is a lightweight, weather resistant steel gara.. 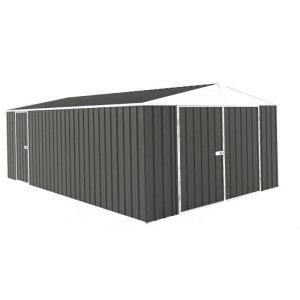 The Melbourne 10ft x 20ft Metal Garage from Storemore is a lightweight, weather resistant steel gara.. The Palram Arcadia 5000 Carport is a high performance, stylish and durable DIY outdoor structure. .. 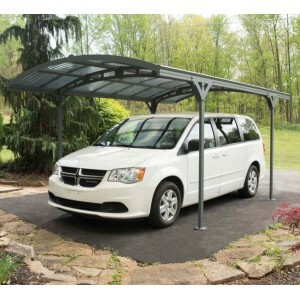 The Palram Atlas 5000 Carport is a modern and elegant carport, designed for an easy set up. It has b.. The Palram Verona 5000 Carport is a sturdy, stylish and durable DIY outdoor structure. It has been.. The Sapphire Olympian 12ft x 20ft Metal Garage from Storemore utilises high quality, hot-dipped galv.. The Sapphire Olympian 12ft x 26ft Metal Garage from Storemore utilises high quality, hot-dipped galv.. 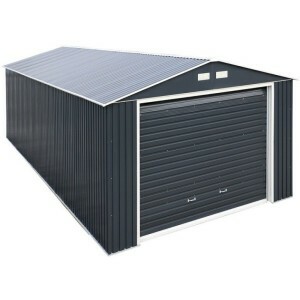 The Sapphire Olympian 12ft x 32ft Metal Garage from Storemore utilises high quality, hot-dipped galv.. 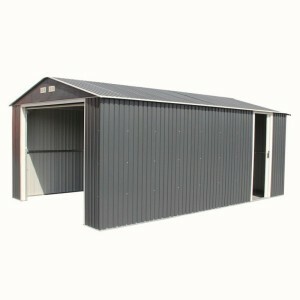 The Sapphire Olympian 12ft x 38ft Metal Garage from Storemore utilises high quality, hot-dipped galv..